Spotted in the West End on 24th April 2018: David Gandy exploring the streets of London in a Spitfire Morgan 3 Wheeler with Aspinal of London bags ahead of the official Aerodrome Collection launch party! 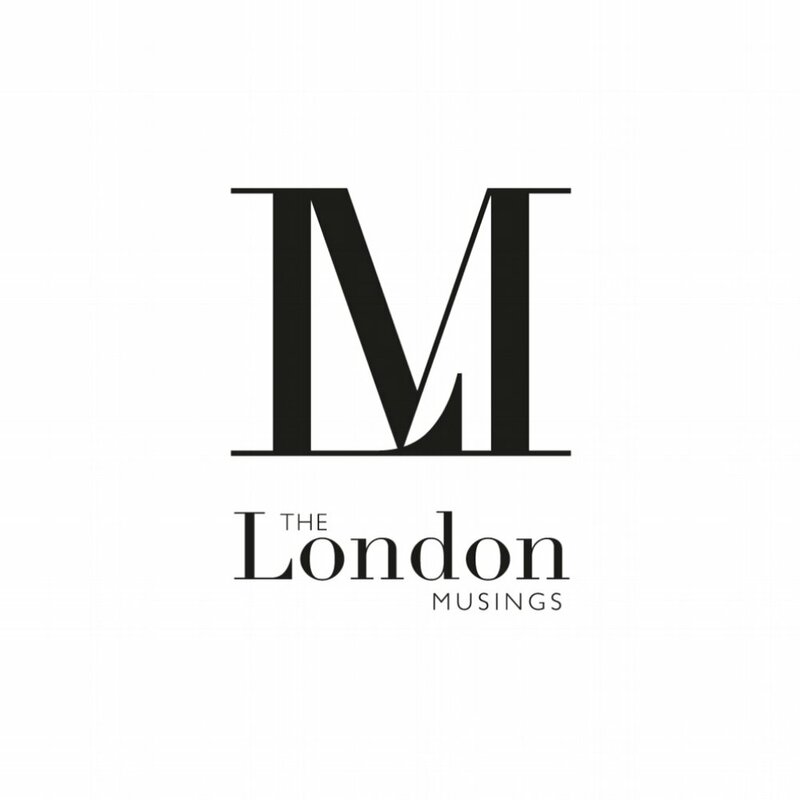 Internationally successful, British model, David Gandy has joined forces with the luxury leather group, Aspinal of London, to launch an exclusive range of gentleman’s accessories. Inspired by the legendary Spitfire, the Aerodrome range combines Gandy’s recognisable style with the leather company’s trademark quality with its expertise in craftsmanship. 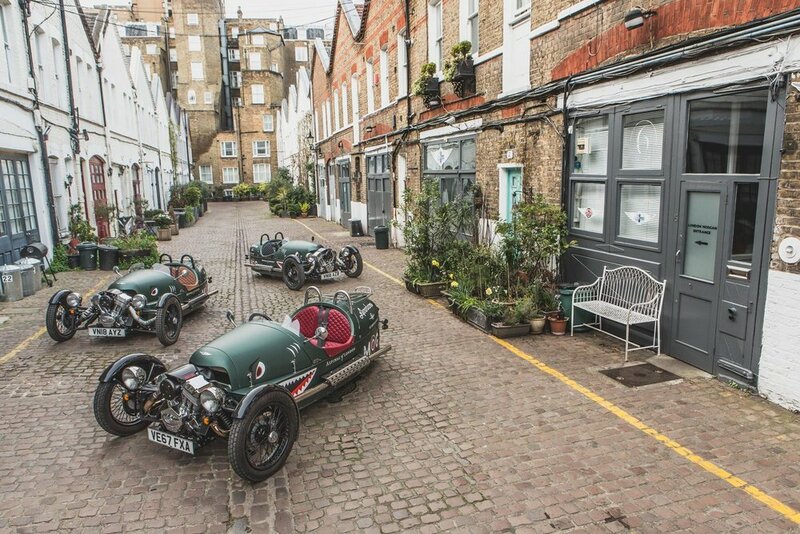 It came with great honour that Morgan were asked to support this launch and to see its specialised 3 Wheeler, which also shares design inspiration from the single-seater fighter aircraft. The Malvern-based company, Morgan, provided three examples of the unique model for the occasion and these were collected from their leading dealership in Kensington. Gandy has been spotted driving the super cool 3 wheeler in some of London’s most notable areas such as Piccadilly Circus. Later, the trend-setting model arrived to the official launch of the Aerodrome collection also in the Spitfire Morgan 3 Wheeler. Morgan Motor Company is a family owned, British manufacturer of hand crafted sports cars. 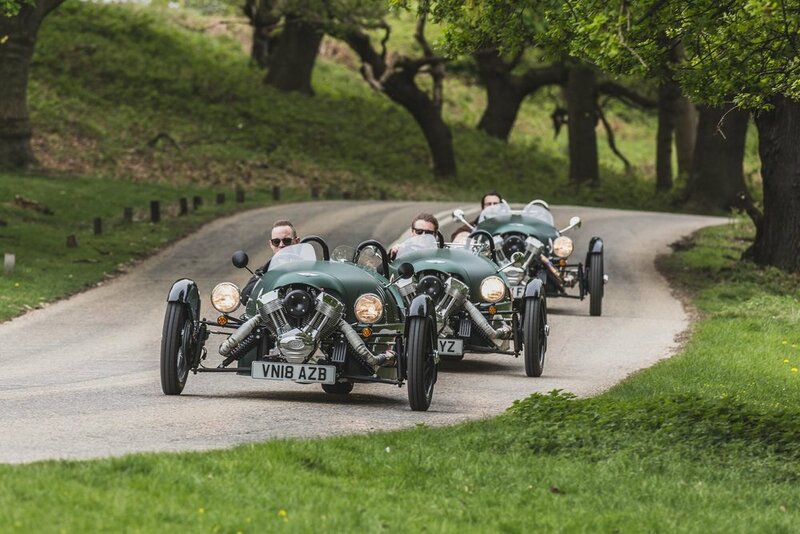 Located at their factory in Malvern Link, UK, the world famous Morgan cars offer a unique blend of charisma, quality materials, craftsmanship and performance. Morgan remains the oldest privately owned motor manufacturer in the world – handcrafting coach built traditional British sports cars that are fun to drive and unique within the market place. Now in its 109th year of manufacturing, the British company built 850 vehicles in 2017, of which 70% were exported through 60 official dealerships in 32 countries.